The No. 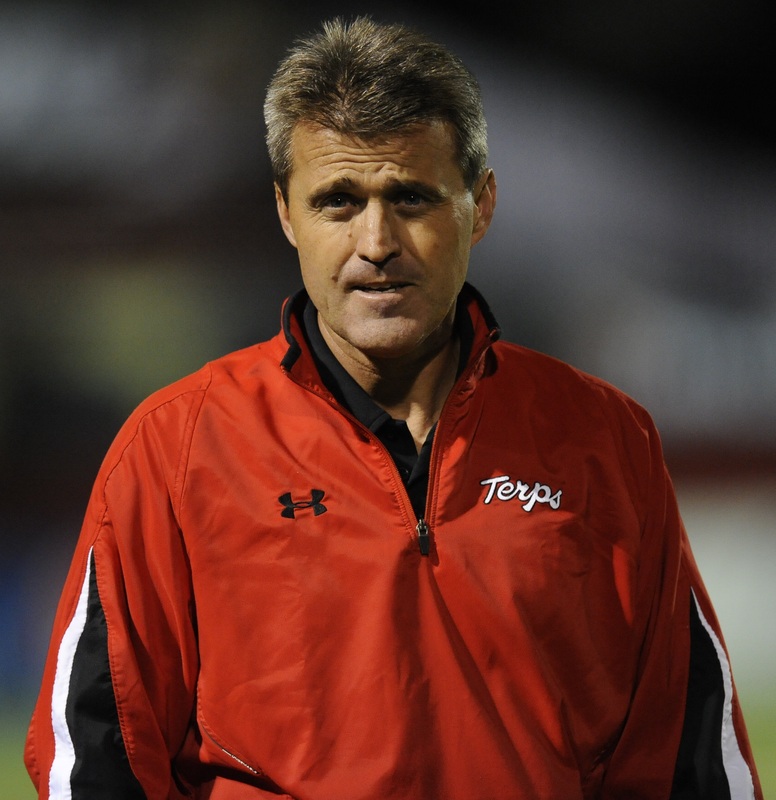 2 Maryland Terrapins men’s soccer team was not at their best Sunday night. Facing an upset-minded Radford Highlanders team, a victory did not come easy, but the Terps earned one nonetheless. “I thought that this could be a trap game after the three teams we played so far, but our guys came and responded quite well in the first half,” said head coach Sasho Cirovski. Coming into Sunday night, Maryland had won convincingly over three brand-name schools – St. John’s, No. 17 West Virginia and Stanford. The Terps outscored their opponents 10-1. However, after goals from forwards Patrick Mullins (3- 20th minute) and Casey Townsend (4- 31st), Maryland was not able to simply use firepower to blowout another opponent. With freshman Kyle Roach starting for injured senior Alex Lee on the backline, the Terrapins (4-0-0) had to fend Radford off after Anthony Payne cut the lead in half in the 61st minute for the Highlanders (1-2-0). 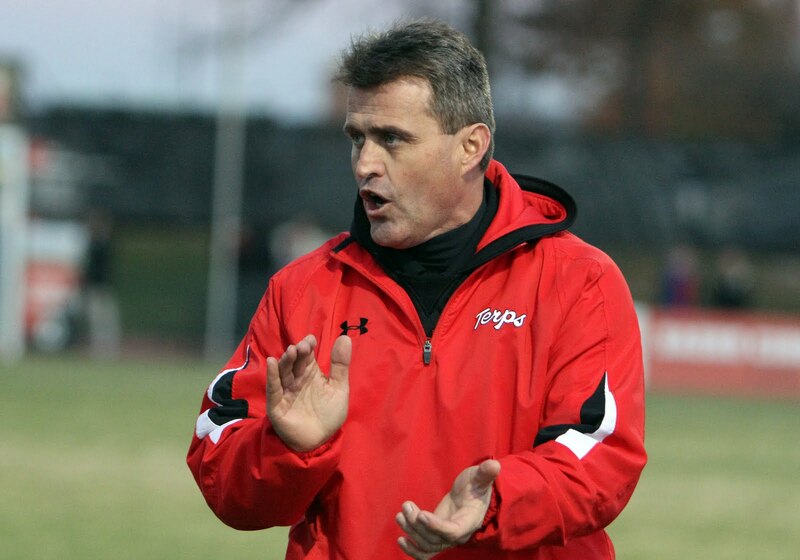 The Terps’ ability to take control of the game late in the second half halted any thoughts of a Radford comeback and gave Cirovski his 300th career win, which places him 10th all-time among active Division I men’s soccer head coaches. With Cirovski’s milestone out of the way, the Terps turn their attention towards ACC play. They host the eighth-ranked Boston College Eagles (4-0-0) tonight at rain-soaked Ludwig Field. 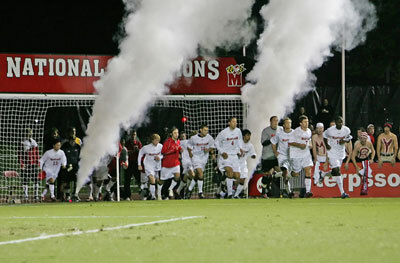 The match will be Maryland’s first in conference play as they seek to defend their ACC Championship from last season. Boston College is tied with Maryland and Virginia for the ACC lead in scoring. Each team is averaging three goals per game. Amit Aburmad, Kyle Bekker and Charlie Rugg have accounted for 10 of the Eagles’ 12 goals this year. The two teams tied 1-1 last season in a game played in Chestnut Hill. Maryland is 5-2-1 all-time against Boston College. Casey Townsend, John Stertzer and Patrick Mullins have combined for 10 of the Terps’ 12 goals this season. Maryland has outscored its opponents 12-2 on the year. You can listen to the action on WMUC Sports at 7:20. Pauly Kwestel and Luke Jackson will be on the call. This entry was posted on September 9, 2011 by Scott Kornberg. It was filed under Maryland Terrapins, Soccer and was tagged with Alex Lee, Amit Aburmad, Casey Townsend, Charlie Rugg, John Stertzer, Kyle Bekker, Kyle Roach, Maryland soccer, Maryland Terps, Maryland Terps soccer, Maryland Terrapins, Maryland Terrapins soccer, Patrick Mullins, Radford, Radford Highlanders, Radford Highlanders soccer, Radford soccer, Sasho Cirovski, Scott Kornberg, Terps, Terps soccer, Terrapins, Terrapins soccer, WMUC Sports.